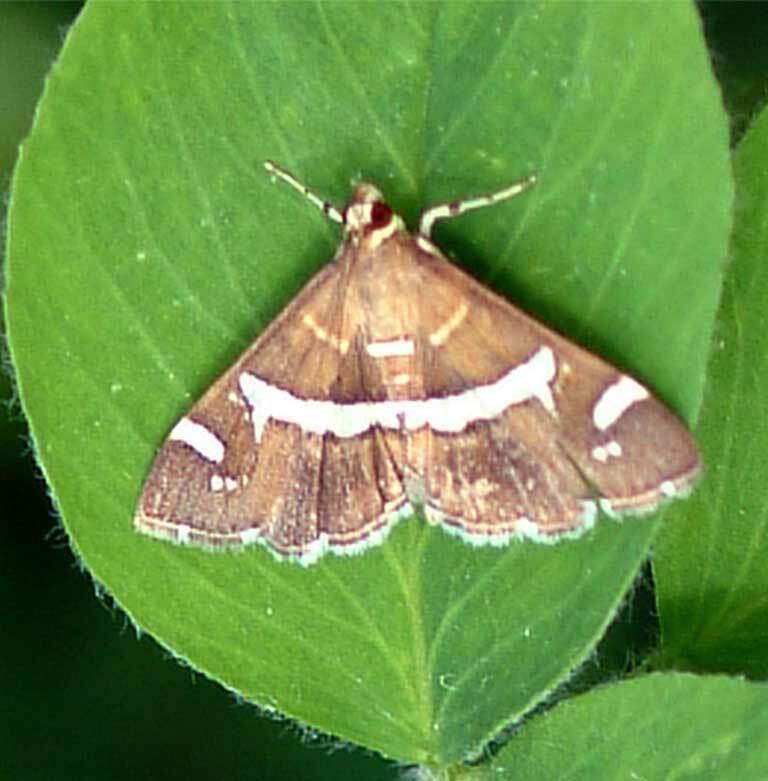 Insect follows Crambidae family, and Lepidoptera order. It is brown, wing is 22-24 mm long. Butterfly is diurnal. Larva feed on spinach, beta vulgaris, cotton, corn, and soya beans. It feeds on lower parts of plants. Larva are large, somewhat like leaf veins. Growing up to 19 mm in length.